When Bird DePrez decided he wanted to choose the car life as a career, he went all in. 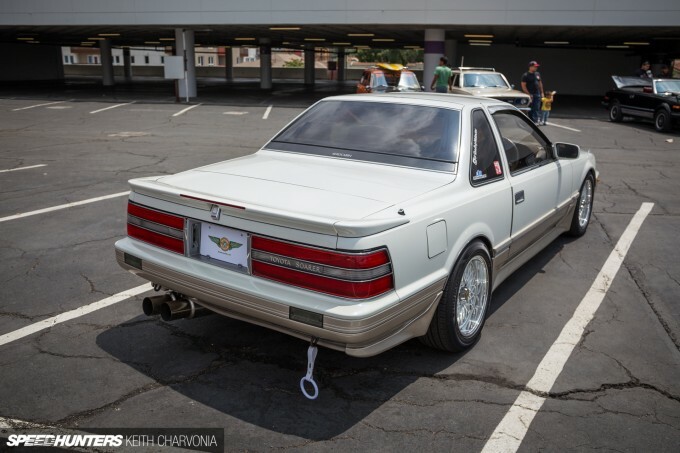 Roadtrip Motorcars was started last year by Bird, along with his girlfriend Corrine, and since then they have been acquiring and importing rare foreign cars such as this MZ20 Toyota Soarer Aerocabin. 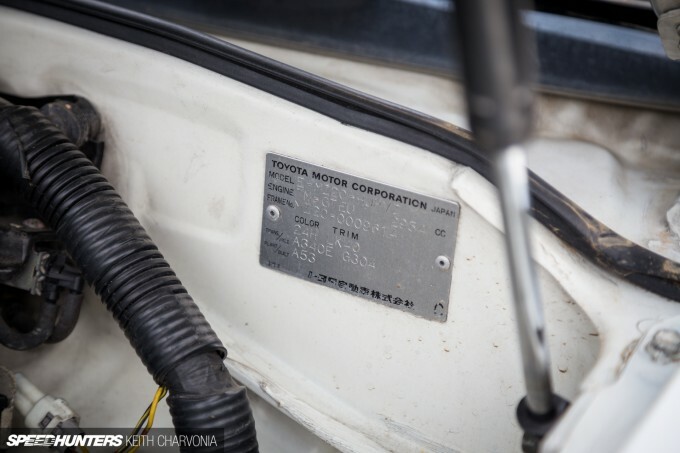 It’s one of only 500 built, all made in Japan during the month of April 1989. 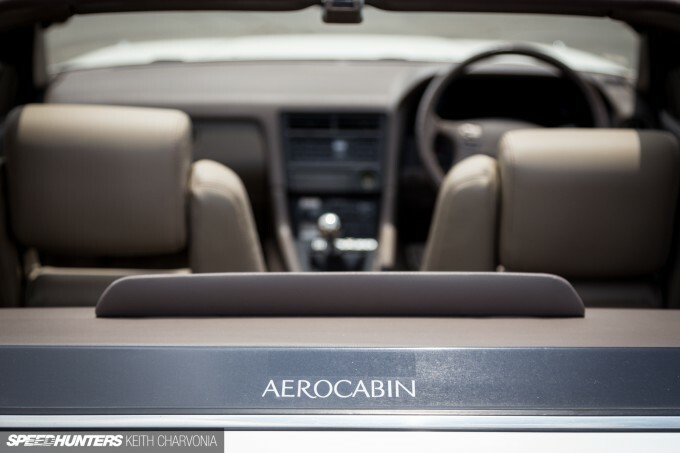 Each Aerocabin came with the same options: a 3.0L turbo, automatic transmission, white over gold two-tone pearl paint and of course the power folding hard-top. 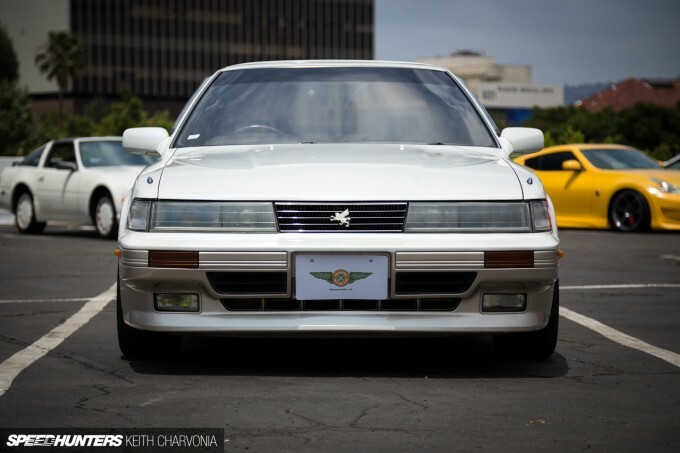 The MZ20 Soarer shares platforms with the MkIII Supra, although it’s a few inches longer. Personally, I had never laid eyes on one, so I was eager to hear Bird’s story. Turns out he started his importing business off with the Aerocabin and a Crown, and he has already had a ton of adventures in the Soarer. After road-tripping across the US he realized the head gasket was blown, so out came the engine for a rebuild. As enthusiasts we can rarely help ourselves in these situations, and despite the rarity of their imported Aerocabin, Bird and Corrine decided to make a few carefully planned changes while the engine was out. The cylinders were bored half a millimeter over, and a Titan metal head gasket and ARP studs resolved the head gasket issue once and for all. 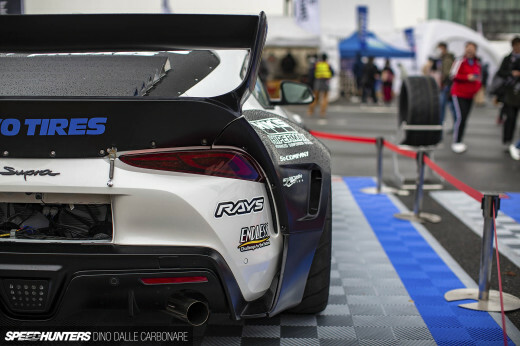 With this car being essentially a Supra under the skin, Bird tapped Driftmotion for some help. 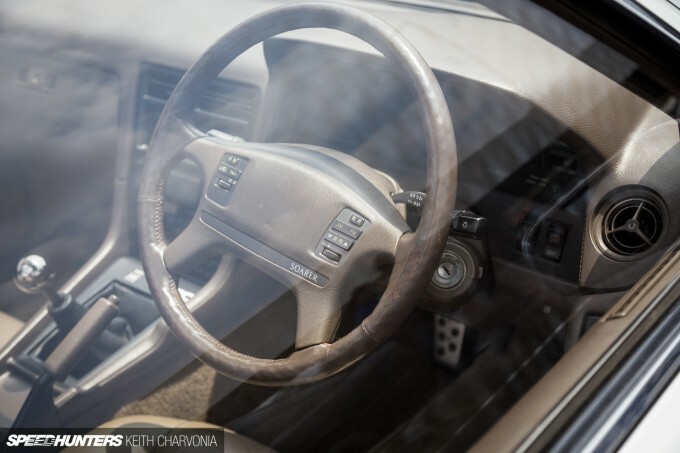 A Driftmotion CT26 turbo and 3-inch downpipe were hung from the 7M-GTE, then Corrine rebuilt an R154 manual transmission to go back in with the freshened engine. 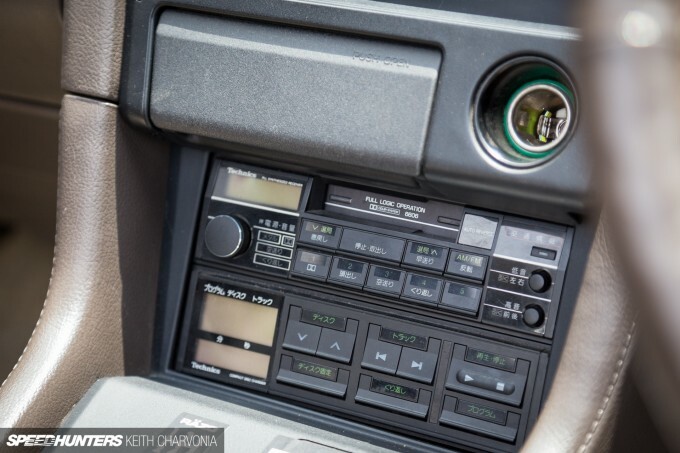 That’s right, this is probably the only manual trans Soarer Aerocabin in existence, and the conversion has been done so in a way that it looks factory. 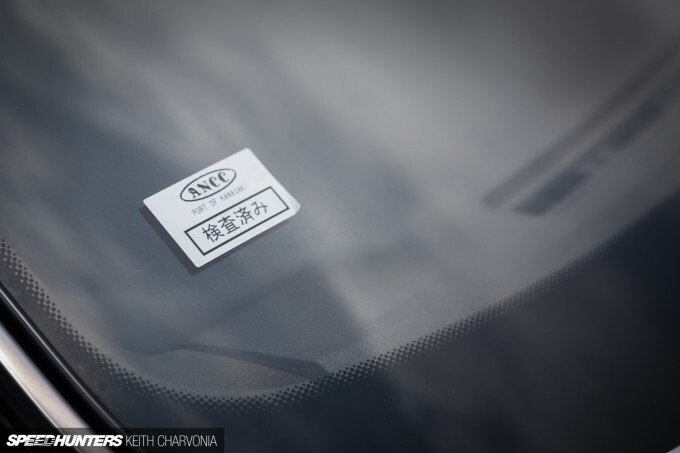 Inside, you can really feel that this car is special, starting with the Japanese text on the factory head unit. 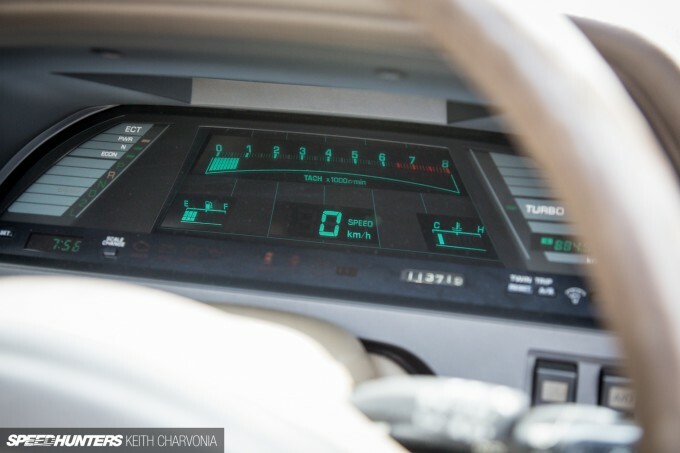 Of course, the LCD dash display is in metric. As I photographed the interior I noticed these massive cast door hinges. 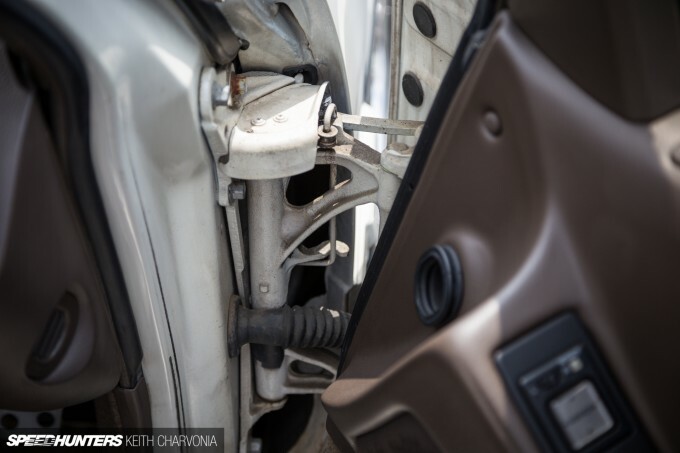 This is still your typical well-built Toyota, after all. The hinges were fairly complex, allowing the doors to swing away from the body and overlap the front fenders. I know, I know, you want to see the roof in action. Bird was kind enough to jump in and demo the folding hardtop for us, instantly drawing a crowd. The resulting open air feeling is definitely unique! As I mentioned, Bird and Corrine are enthusiasts through and through. They couldn’t resist adding a few touches, like 16-inch SSR Formula Mesh wheels (painted the body color), a mild drop, aftermarket taillights and an exhaust. There are many more stories behind Bird and Corrine’s adventures importing these cars, so if you want to learn more make sure you check out their blog. It’s definitely worth a read. Why did he put such a stupid looking tow hook on it? From the rear 3/4 I can see aw11 everwhere. I was a little dismayed by the modification of such a rare car but I got over it pretty quick as i thought about clicking off shifts with the roof down, nice work. @beany Most importantly, it isn't a tow hook. KamikazeBottleRockets it a Japanses Subway strap, very popular in Japan to put them on your car. 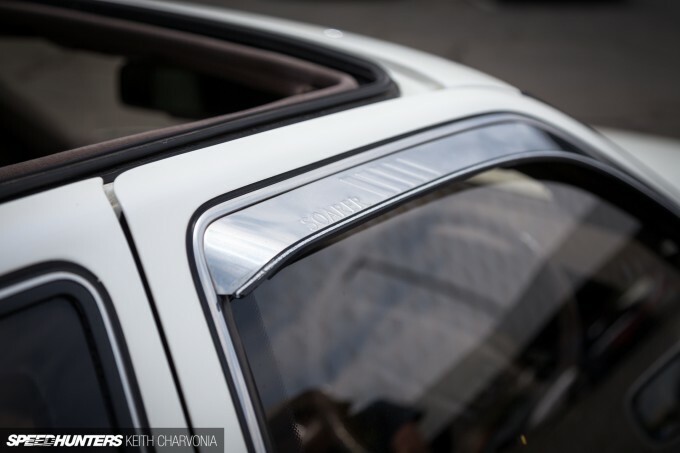 evoAntony Speedhunters Superb. Unquantifiable amounts of want. @tom We're all about driving our cars. We're actually about to embark on another cross country road trip to bring the car back to our shop in Kentucky. Nice to see more Aerocabins! I wish my Aerocabin could look as cool as this one.. Bad thing is that it came to me as a rolling shell and it only had BC Racing V1 coilovers It didnt have engine, drivetrain, interior, bumpers, wiring and many many parts were missing. So i put 2JZ-GE engine in there and turbocharged it with ct26, it also has AEM V1 ECU, for transmission i chose W58 5-speed manual. Interior i took from Supra GA70, Bumpers i made from stratch and added my own design to them. So theres many things homemade, exhaust manifold, trans crossmember, downpipe, motor mounts, roof locking mechanism, bumpers made out of fiberglass, brake lines and much more. aah the mighty 7m.. It runs on headgastkets but man those engines have torque because of the long stroke. Daniel Kaikkonen Your car is amazing! We've seen it on Instagram. Great job bringing one back from the dead! Do you have any build photos posted anywhere? How do you have your top running? Factory computer or hardwired? dbenniso KamikazeBottleRockets What's the purpose of one? @beany dbenniso KamikazeBottleRockets i think that trend started with shakotan cars back in the day, the more it scrapes the more your car is low = you are cool. Wow Kieth! This is refreshing to see. An almost stock rare jdm masterpiece. 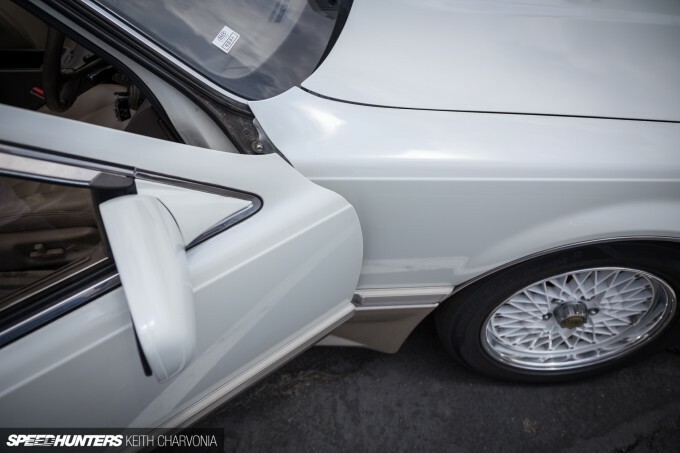 Roadtrip Motorcars Import alliance summer meet? Would love to see this thing in person! bluestreaksti We might make it for Sunday. We're planning on going to State of Drift in Memphis on Saturday. great thread! a rarely seen (or known about) in many countries. more, please Keith. This is the car I want to import, but I might skip the Aerocabin. 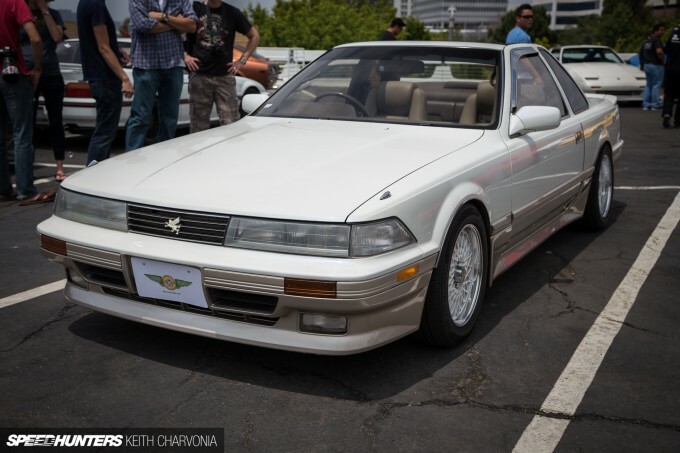 It's such a handsome car and it caught my eye when I saw the N-Style Soarer featured here. 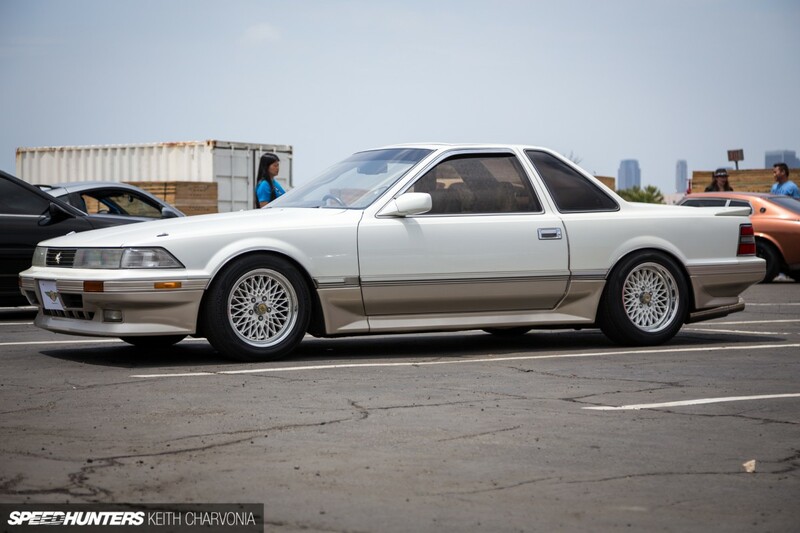 I love all Soarer's....still waiting for Dino to put a really nice story about them. I saw one of these for sale that had been brought in by an import company in Richmond. I wanted it so bad but I had just picked up an old Pathfinder to haul my puppy around in and I just couldn't justify 3 cars. Mmmmmmm. With a ride like that Bird certainly is... de Prez. I really enjoyed this piece, and I think rebuilt 7Ms are great. 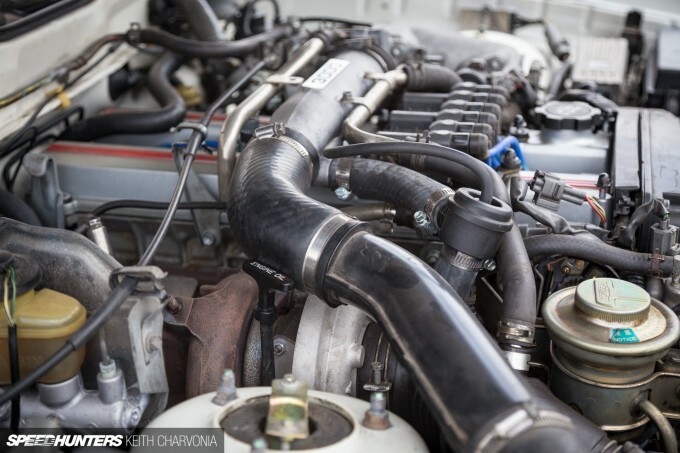 I own one manual 1jz-gte Aerocabin and I know some one with a 2jz-ge Aerocabin... 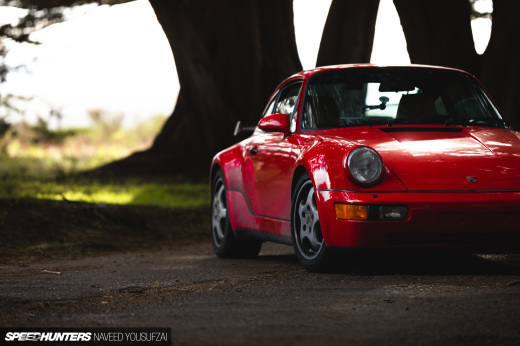 Proves how little is known about these cars SpeedHunters can't even find us!